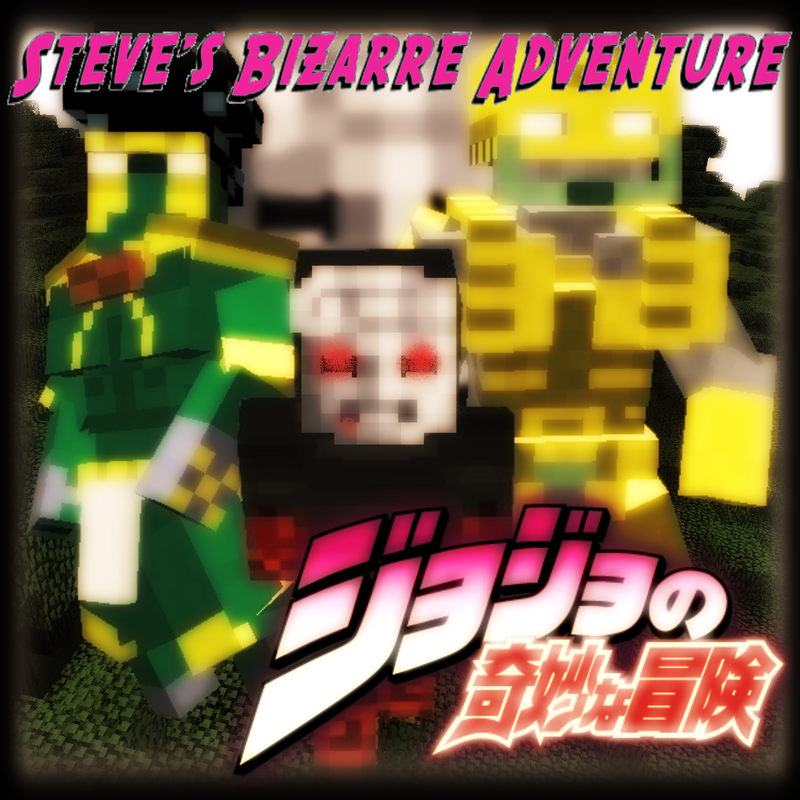 This is the long awaited Minecraft 1.12.2 version of Steve's Bizarre Adventure. I want to give a big thank you to Mel, who was my beta tester and is the main reason a lot of fixes were completed near the end of the port. They were very good at finding the bugs in this version, and along with their own server was able to help identify some crashing problems. Big things to note, 1 the Time Stop ability has been disabled completely in this version, it was buggy in 1.7.10 and just didn't work in 1.12.2. It will undergo a complete rewrite and will be disabled until it works. The Hand still remains the only Stand with any decently filled out abilities, but all stands (apart from Echoes) has at the least, basic attacks. number of times you either kill or hurt. Same entities remain, so villager or player. - Added config for kill or damage for stonemask. - Added config for kill/damage count for stonemask. - Dark Cloak clothing added. - Dark Black Wool block added. - Added barrage attack to The Hand. - Made new texture for the stonemask. - Lots of tweaks / reworks for all stands. - Changed stonemask destruction against anvil to be iron block. - Added stonemask "used" tag, cannot cause vampirism with same mask. - Reduced Vampires potion effect boosts. - Made only sneak punch for The Hand cause scrape effect against entities. - Vampire heal doesnt work if was attacked within a time limit. - Vampire heal not work whilst wearing a cloak. - Emperor gun item now faces correct direction in 3rd person. - Players now take fall Damage again with stands. Reduction to return in future. - Disabled Time Stop ability for The World and Star Platinum whilst bugfixing.